A few years ago I did a drive with a friend from Cairns to the Red Centre. I was firstly stunned by the Devils Marbles but after that Kata Tjuta was the most amazing experience of my life. The Valley of the Winds where the wind just bellowed through was stunning. I walked around the base of Uluru which was fun but not particularly spectacular, not least because of the big tour groups of Americans. 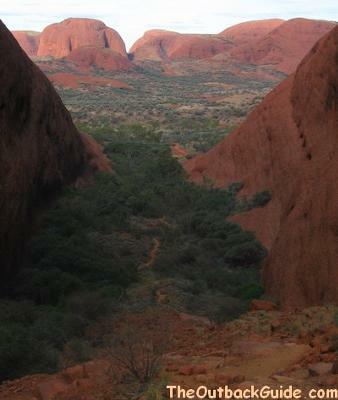 Kata Tjuta was incredibly spiritual, natural and vibrant. Anyone with the fitness to do the walk and carry and consume the necessary litres of water should not die without seeing this. I am originally from England but now live in Cairns, with the constant hope that I will be able to make it back there some day.